The conference is free and open to the public, however pre-registration is required as seating is limited. All tickets must be obtained through the NC Museum of Art ticket office. These tickets are for all three days of the conference. 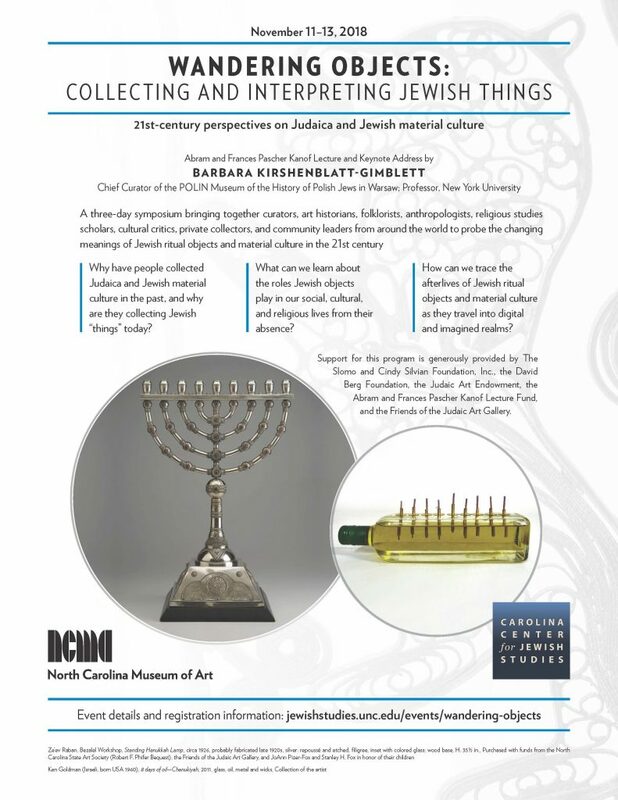 Please note Sunday and Tuesday events are hosted at the NC Museum of Art in Raleigh and Monday events are hosted by the Carolina Center for Jewish Studies at the Ackland Art Museum in Chapel Hill. There is no charge for tickets. Seating is limited and overflow rooms may be utilized if necessary. Tickets will provide access to the lectures/discussions as well as the associated meals, including a reception on Sunday evening, light breakfast and snacks on Monday and Tuesday as well as lunch on Monday. You will be asked to print out two tickets. The first is for the Sunday keynote lecture and the second is for all events on Monday and Tuesday. IF you ONLY want to attend the lecture on Sunday, and NOT the events on Monday and Tuesday, you can use this link for the Sunday-only ticket. If you have questions about ticketing, please contact NCMA Box Office staff at (919) 715-5923. 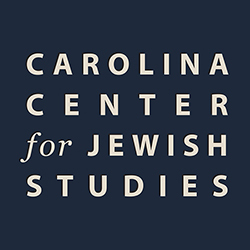 Staff at the Carolina Center for Jewish Studies and the Ackland Art Museum cannot assist with ticketing questions.